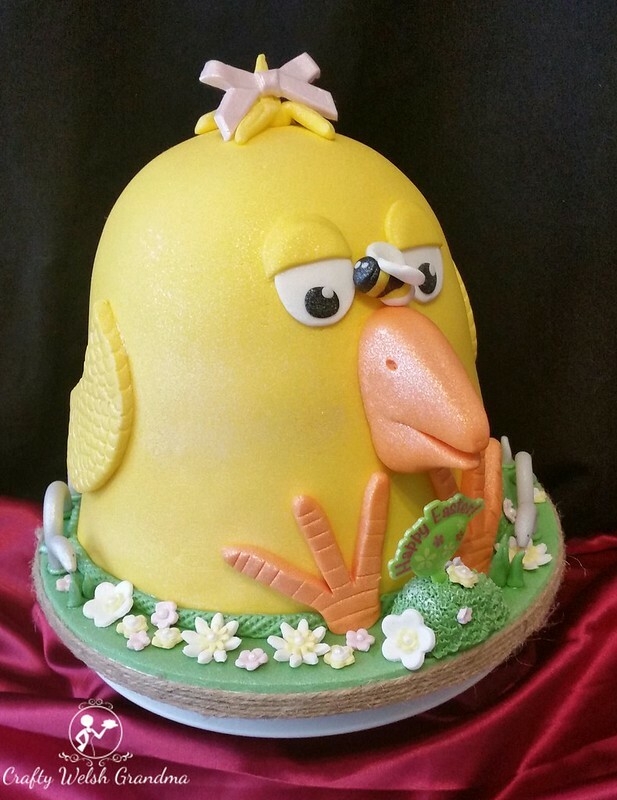 I was asked to 'do a cake for Easter' and given complete 'artistic licence'. 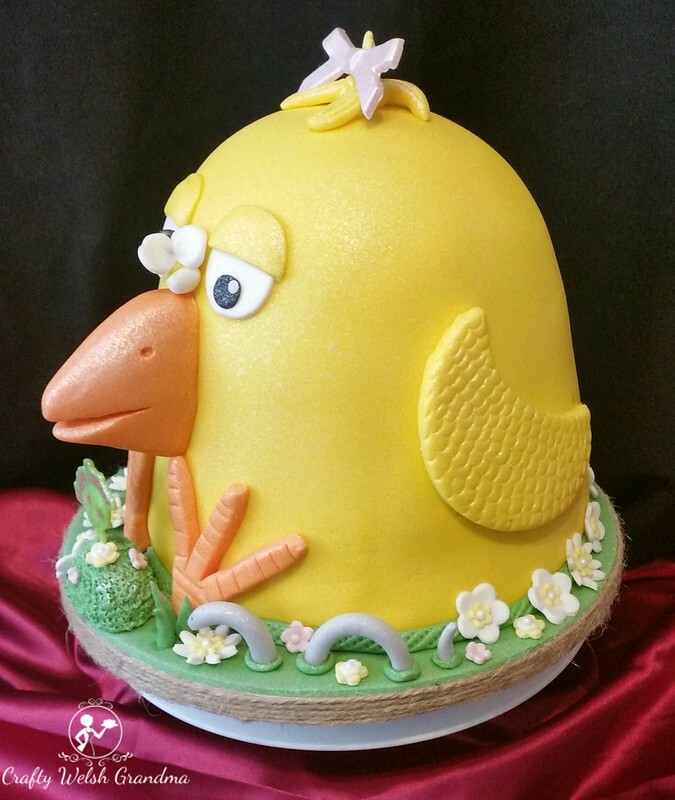 I thought of the traditional Easter cake eg Simnel Cake, but then I thought "Let's look for some inspiration and have a little fun here" - So this beauty is, I guess, more of a Springtime Cake. 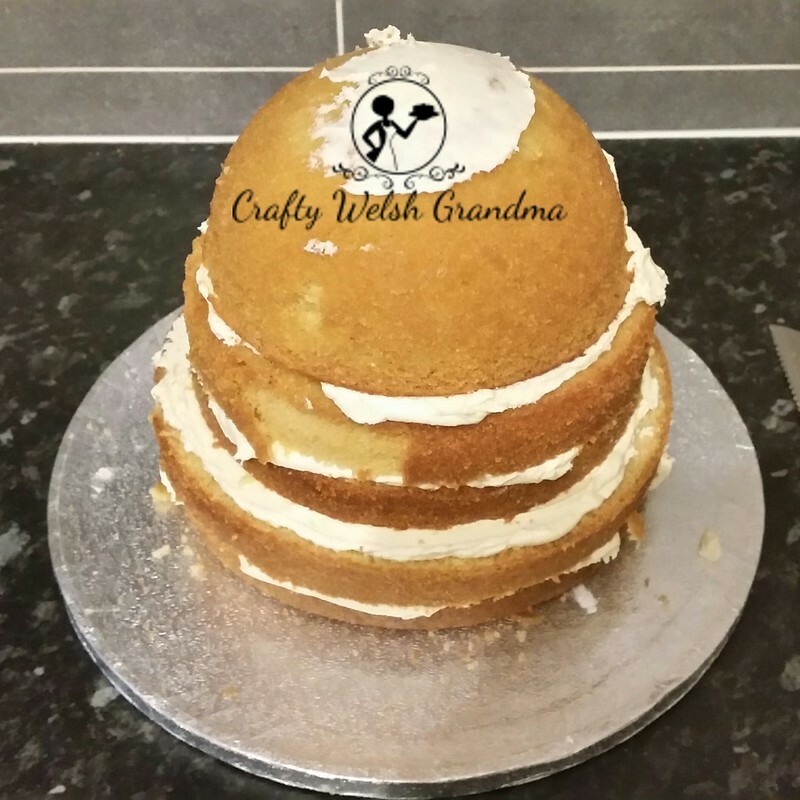 Using my faithful sponge cake recipe and basic buttercream, I baked and sandwiched 1 8" sponge, 1 7.5" sponge and a 6" dome sponge. It didn't look the best at first. But once I trimmed and crumb coated it into a dome, it began to look a lot better. 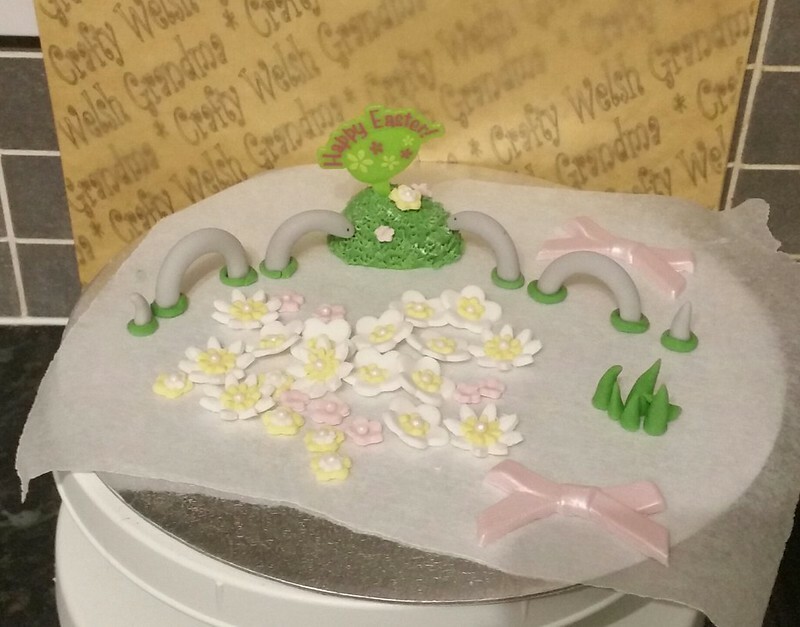 Whilst the crumb coat was drying out, I made some worms, grass and some spring flowers so they could dry out. 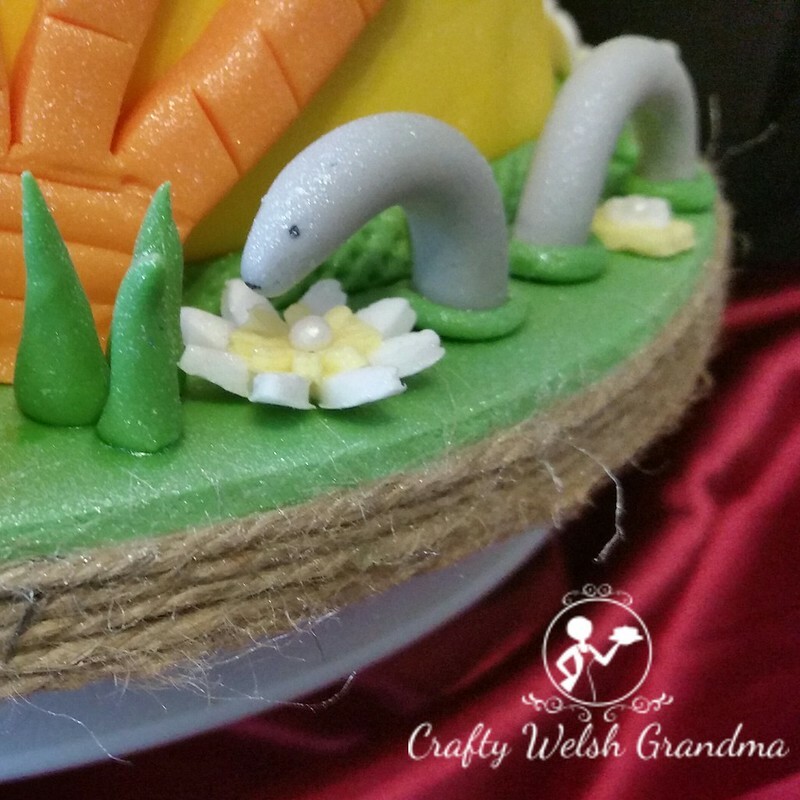 To make your worms: roll out a sausage shape and cut into one large piece, for the hump of the body, one medium piece, for the head portion and a small piece for the tail. Allow the two larger pieces to dry over something round so they will maintain their shape. Now the last piece, bring to a slight point. Allow to dry. 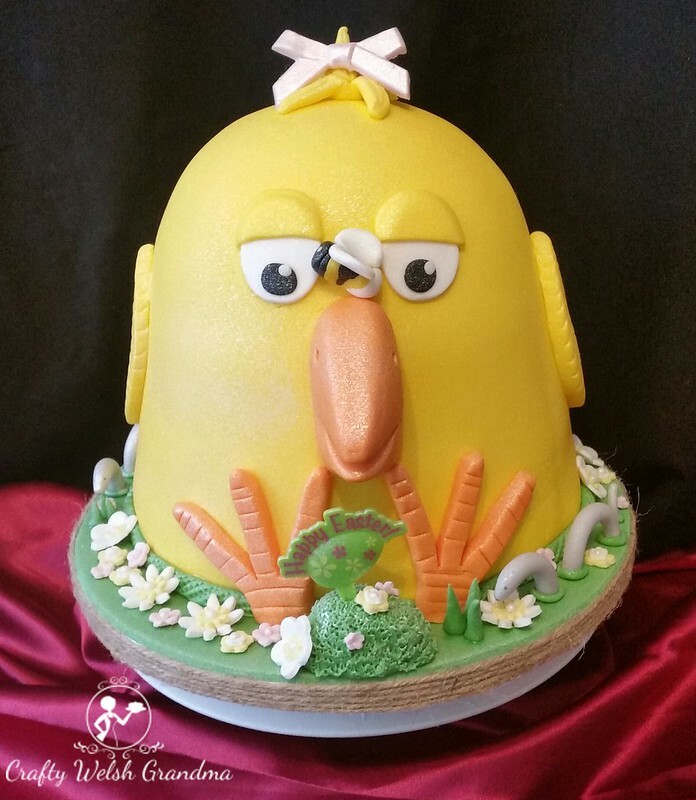 Once the cake had a second layer of buttercream and chilled a little more, I covered it in chick-yellow fondant, an orange beak and feet, then added the flowers and worms along the sides. The worms heads, in the picture below, had to be propped up with clean tissue whilst the glue dried to hold them in place. To make the eyes: cut two circles in white and reform them slightly into oval shapes. Cut one yellow circle, do not reform into any shape, then cut in half. You will notice that they are wider than the whites. Place onto the whites about 1/3 of the way, make sure the yellow comes over the sides of the whites, then smooth them down. For the feet: roll out a large sausage shape in orange, flatten with rolling pin, gently add some lines across the whole sausage from side to side (opposite to those you see above). Do not cut all the way through. 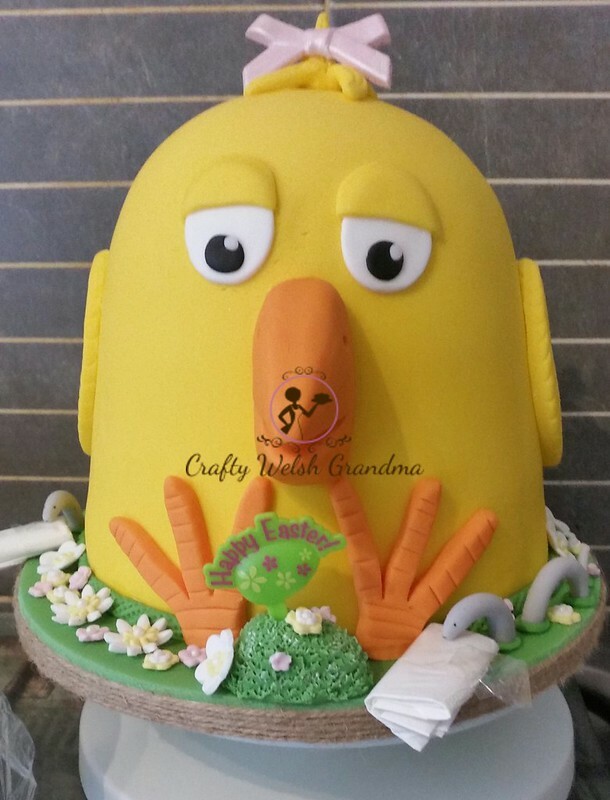 For the hair: roll out a long yellow sausage shape, cut into a number of pieces and bring one end to almost a point, allow to dry a little, glue to the top of the chick's head and shape. 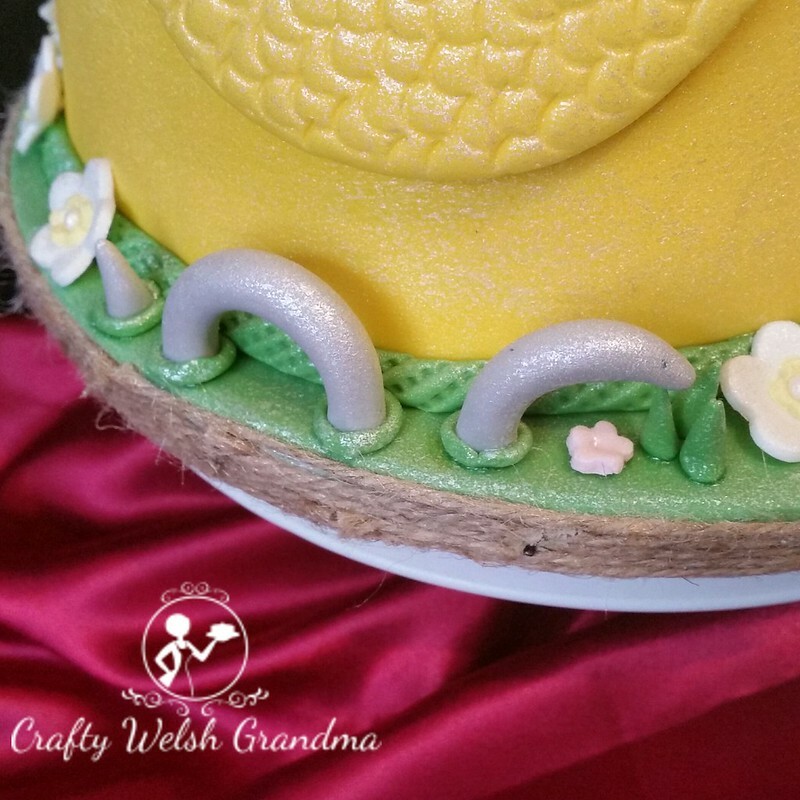 The wings on the sides were cut using a large circle cutter, the same cutter was used to take some un-needed fondant out to make wing shapes. I then used my scallop tool to make feather shapes on them both. Following a little 'incident' with the corner of a cardboard box, right between the eyes, a little damage occurred! Bumble Bees are spring-time beauties, so I added one to cover the damage. 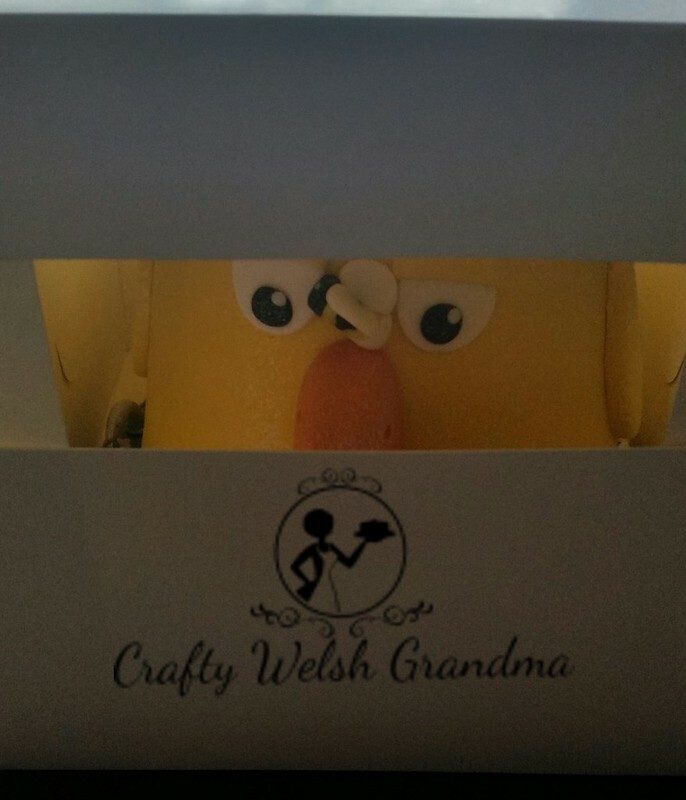 It also added a little giggle factor to the sweet chick's face. 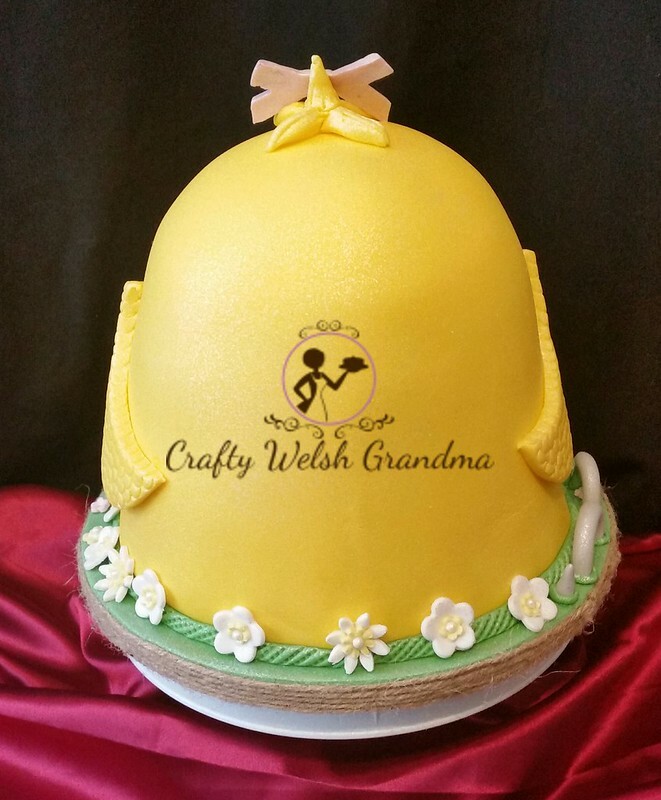 As I was coaching my daughter on how to make a sponge, I'd like to say thank you to her for making all the sponge mixes for this cake. 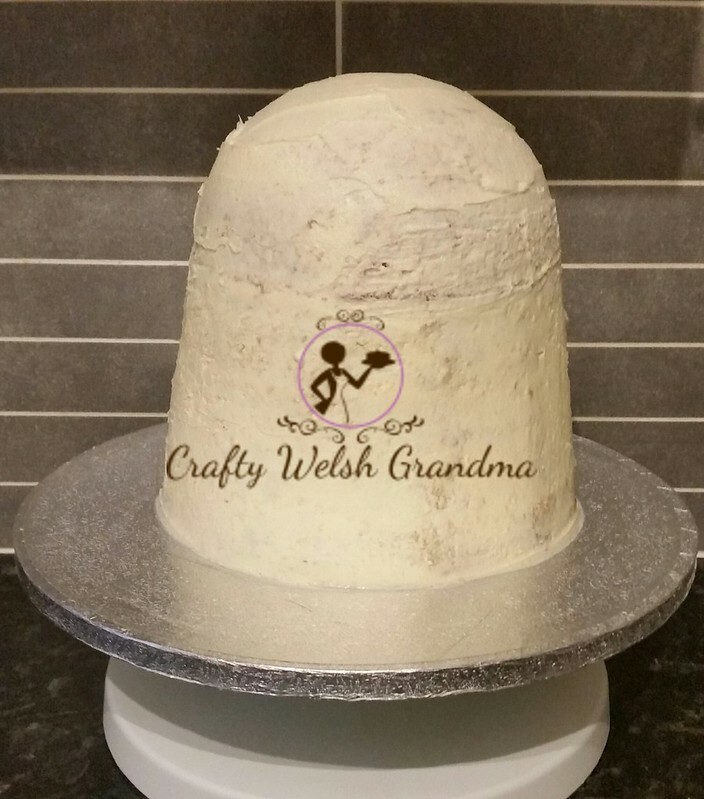 She did an awesome job and, if I'm honest, you can't go wrong with a good sponge recipe.